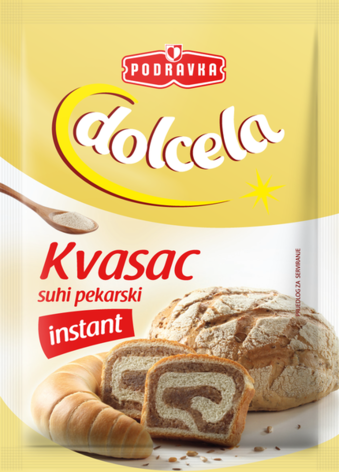 Use the instant yeast for quick and simple making of sweet and salty dough, both in bakery and at home. The package contains Yeast Saccharomyces cerevisiae, the valuable source of B complex vitamins. The valuable source of complex proteins as it contains all 18 amino acids. Stir in the instant yeast into your dough and watch it rise rapidly! Preparation: Empty the package contents to the bowl with flour and other dry ingredients. Add water and milk and knead the dough. Shelf life: Shelf life: 12 months (package 7g), 24 months (package100 g and 450g).